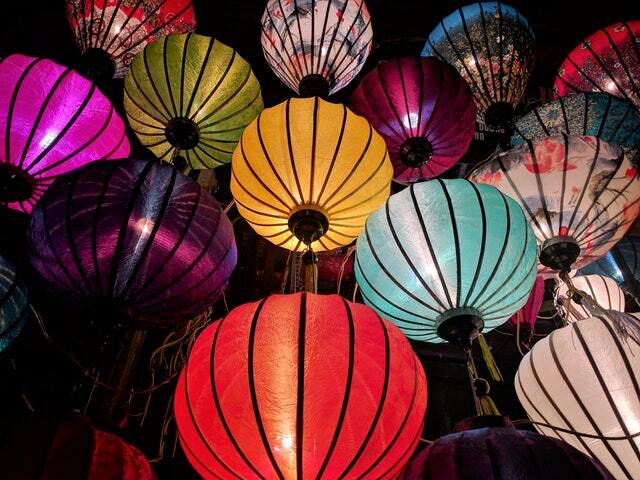 Whether you are a person of Asian descent away from home missing the tradition of celebrating Lunar New Year, or simply a local curious about others’ culture and customs, the Chinese new year celebration in Prague provided insight for anyone interested in the holiday. 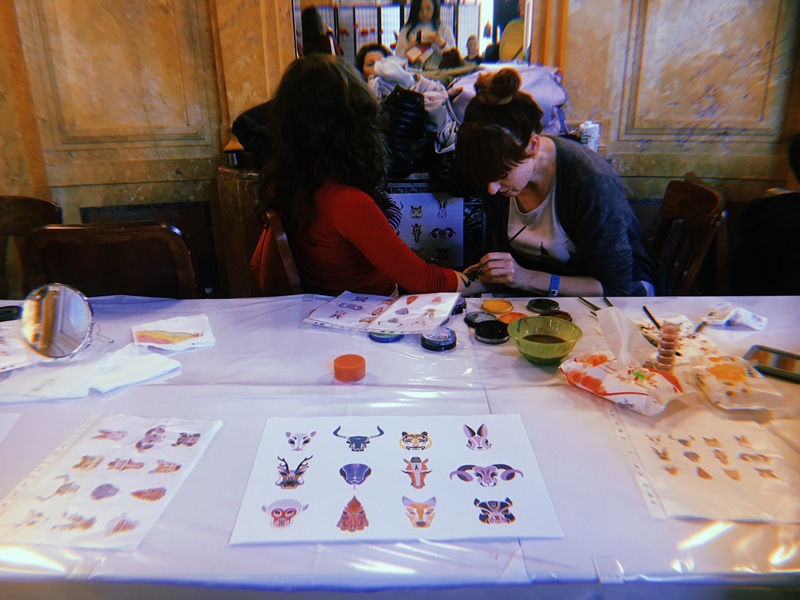 Courtesy of the Chinese Embassy and the Czech-Chinese Chamber of Collaboration, residents and tourists of Prague were welcome to experience the festivity of the Chinese New Year, which is also known as the Spring Festival. Taking place in one of Prague’s most iconic and luxurious concert halls — Obecní dům, or Municipal house, the 3-day event had its grand opening on February 15, marking the 4th celebration of lunar new year in Prague. The festival offered a variety of activities to help visitors immerse themselves in the Chinese culture, including Asian food, arts and crafts stands, as well as special performances. The festival offered a variety of activities to help visitors immerse themselves in the Chinese culture, including Asian food, arts and crafts stands, as well as special performances. The outside of the centrally-located venue was decorated with red paper lanterns making it difficult for anyone to miss. At the entrance the security check and the red-carpet-covered stairs immediately conveyed the formality of the event. Once the guests passed through the security check, they were free to wander around the stands. Among the items on sale, there was a myriad of different types of Chinese traditional herbal tea ranging from black to green to white – a true heaven for a tea lover. There were fine china tea sets, crockery and dinnerware. They also sold traditional luxurious Chinese swords, Chinese lanterns and miniature Buddha statues. The prices of the products were very reasonable and consumer-friendly. In addition, various stands with calligraphy, comb painting, Chinese paper cutting, face painting, Chinese puppetry were set up for the visitors to engage in. Guests could take part in as many different crafts making as they liked free of charge. Children’s ultimate favorite was the face-painting stand, where youngsters could get beautiful depictions of any of the twelve animals of the Chinese zodiac. Next to it was the costume and picture stand where everyone could try on the Chinese fiery-red national costumes and take pictures against a wallpaper that depicted a dog’s paw, and signified the beginning of this year – the year of the dog. Once the photographs were taken, they were printed out on the spot and given to the people. Another of the many activities was the Chinese comb painting stand, where talented artisans displayed their large collection of meticulously crafted work that immediately lured the visitors into their booth. 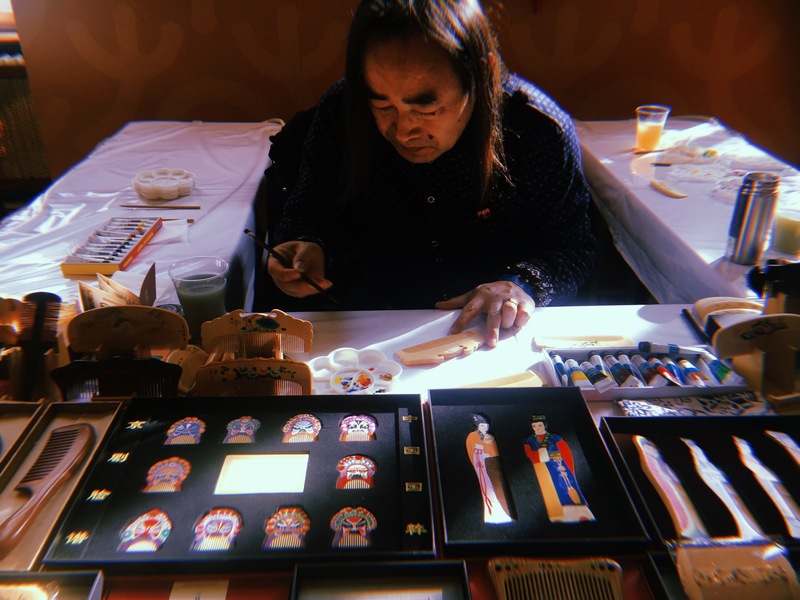 With the assistance of an artisan, who shared his secrets on making perfect paintings, the visitors were able to excel in painting beautiful depictions on small wooden combs. Once the guest finished drawing, they could take their DIY combs home. There was also a Chinese language learning stand where the instructors briefly introduced us to the rudiments of Chinese writing, reading and speaking. 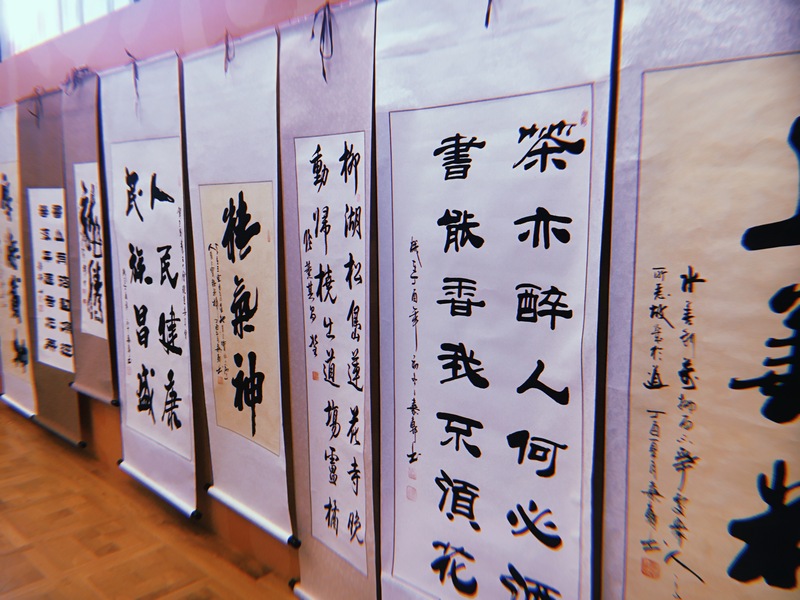 In addition, there was an impressive calligraphy stand where professional calligraphers transcribed the names of the guests and wrote it out in Chinese characters. 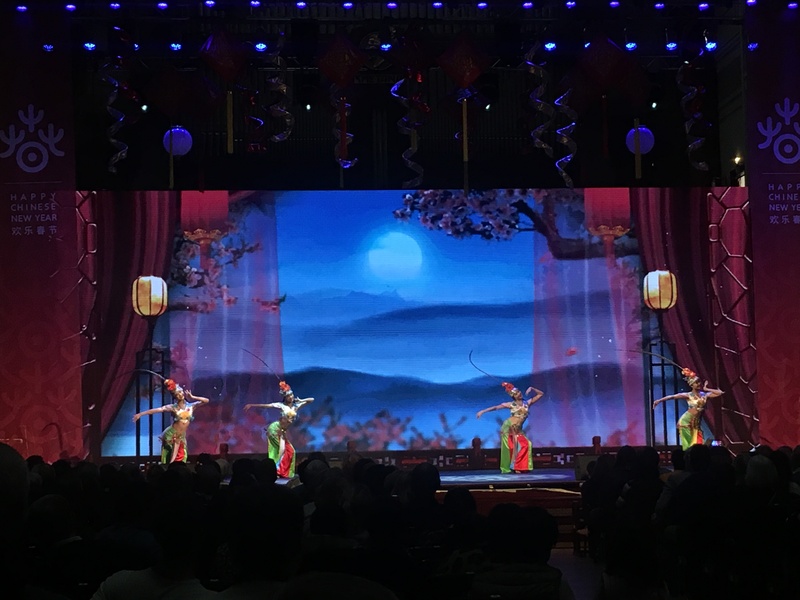 After taking a look through the stands and getting acquainted with the Chinese customs, it was time for the highlight of the festival — the performances. The show started off with with warm words from the organizers and contributors of the event, the Deputy Minister of Culture as well as China’s very own Ambassador of Culture, who voiced their hopes for future collaboration between the two countries. The performances were kicked off by an amusing dance number whereby female dancers with a long feather for a headpiece did somewhat unconventional and interesting dance moves, causing a few chuckles among the audience. 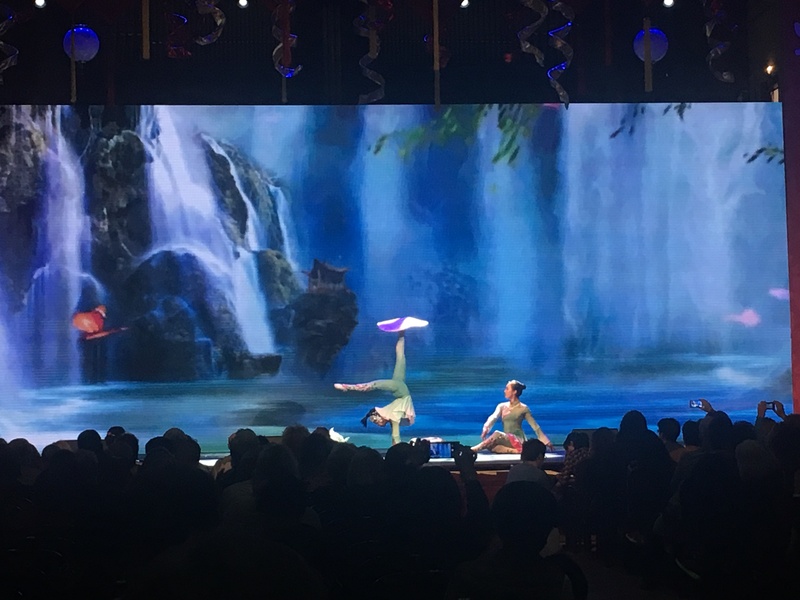 This was followed by a number The Melody of the Waterlily, which showcased the amazing acrobatic and balancing skills of two female performers, who spun plates on sticks as well as on their hands and feet. Next up on the menu was a performance of an all-female ensemble playing on traditional Chinese fiddles. The contrast between the frail appearance of the girls and the powerful and skillful performance they gave seemed to grab everybody’s attention. Other musical instruments that could be heard that night was the flute, which its master used to create an almost too uncanny replica of bird sounds, taking the audience on a ride down to the forests of China. Acrobatics with rings seemed to be a fan favorite, as the girls completed intricate and seemingly dangerous movements with ease, while incorporating dozens of rings in the process. The concert came to a perfect close as eight female performers danced to cheerful Chinese music, dressed in red-and-white costumes paired with embroidered napkins in their hands, leaving a uplifted spirit among the members of the audience, hopefully for the entire year to come. After having enjoyed the performances and worked up an appetite, the visitors could sense a pleasant smell of food that wafted out from the cafeteria. The visitors had a great chance to taste the authentic flavors of the Chinese cuisine, that was prepared by professional chefs from mainland China. Some of the dishes they sold included mouth-watering Sichuan stir-fried chicken, delicious beef with mandarins and spicy meatballs in Chinese style, all served with rice. Having a delectable meal was a great end to an eventful program. This event, while small in comparison to the authentic celebrations that take place in China, was certainly a fun and exciting way to still get that doze of the festive spirit, as well as dive into and explore the Chinese customs and enrich understanding of one of the world’s most ancient civilizations. And in the case that you missed the opportunity to attend this time around, there is always next year!